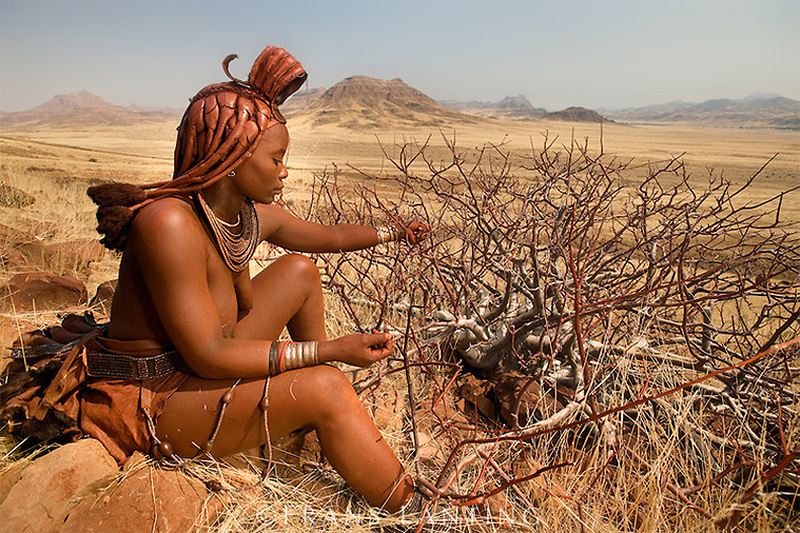 The Kunene Conservancies Indigenous Natural Products Trust (KCINP Trust) was founded in 2012 and is registered in Namibia as such with the Master of the High Court. 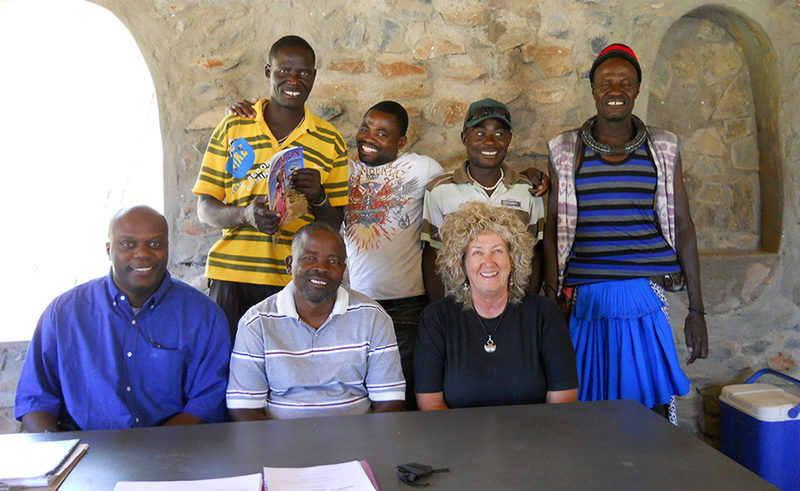 The Kunene Conservancy Indigenous Natural Products Trust are the legal owners of the Scents of Namibia brand, the Opuwo Processing Facility where the essential oils are produced and the visitors centre. Trustees are elected at conservancy / community forest level and serve on the Board of Trustees for a period of five years and may not serve for more than two terms. The development of the Opuwo Processing facility has been supported by Integrated Rural Development and Nature Conservation (IRDNC) which seeks to develop the sustainable commercialisation of various indigenous natural products especially the endemic aromatic plants in the Kunene Region of Namibia. People living in this area are semi-nomadic pastoralists dependent on subsistence livestock farming. They are therefore vulnerable to drought conditions and environmental change. Income derived from the sale of plant material and products provides a very important source of supplementary income that makes a significant contribution to improving their livelihoods. Product identification, resource inventories, the establishment of the Opuwo Processing Facility and Visitors centre, setting up the revolving fund and other technical support have been generously funded by many donors and individuals including, WWF in Namibia and WWF United Kingdom, Big Lottery, ICEMA, MCA Namibia, FAO, People and Plants, GIZ, Anders Johansson and Stefan Encratz. All resources are individually harvested from registered members of conservancies located in community forests around the north-western area of Namibia. 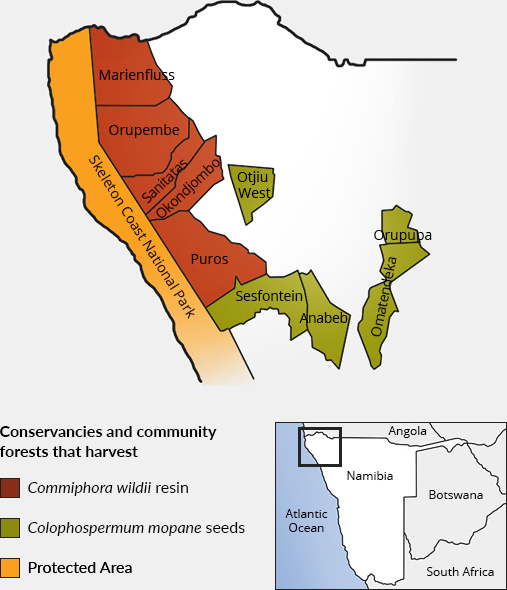 Commiphora wildii resin is harvested from October through November, while Colophospermum mopane seeds are harvested from June through October. No damage is done to the plants during harvesting, making the production of oils sustainable.